All this week I am competing on my dear friend Kristy Bock's Battle Of The Books contest. It's a weekly contest that pits two books against each other. I'm up against my friend and fellow RRP author Franny Armstrong. If you go to Kristy's site, you can vote. We are being judged on book covers, blurbs, book trailers and excerpts. Also make sure you leave a comment. One lucky comment will win a cool prize. My book that's up for consideration is Voice In The Night, an Autumn Rose tale of love between an older woman and a younger man. It's my debut novel from Red Rose. 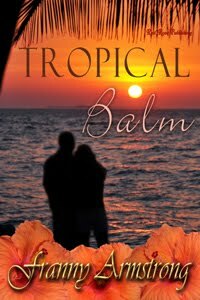 Franny's book that's up is called Tropical Balm. It's another great RRP book. But make your vote count because you can only vote once. Head over to Kristy's Literary Goddess Blog and vote. Whichever one of us wins, we both appreciate your support.